The purpose of this Foundation, a 501(c)(3) corporation, is to memorialize and honor the memory of the late SGT. Ryan E. Doltz, who died while bravely serving the United States of America in the war in Iraq, by assisting worthy individuals and charitable organizations and to make contributions, gifts, and render financial or other assistance to such worthy individuals and charitable organizations through fundraising and private donations. We have established a scholarship at Dover High School, Ryan's alma mater, a scholarship for a college-bound student from Morris County, New Jersey, as well as a scholarship for a member or dependent of the New Jersey National Guard who will be continuing his or her education. Contributions have also been made to the Ryan Doltz' 00 Scholarship at the Virginia Military Institute. Investment accounts have been established for the two young sons of fallen soldiers in Ryan's unit. Additionally, donations have been made to military families in need of assistance as well as organizations such as Wounded Warrior Project, Wreaths Across America, Hugs for Children, and more. Click on the scholarship name for an application. All complete applications are due on or before April 1, 2019. We would like to thank everyone for their support at this year's Beefsteak Dinner/Tricky Tray held on November 2nd. It was a successful evening for the Foundation and a good time was had by all. 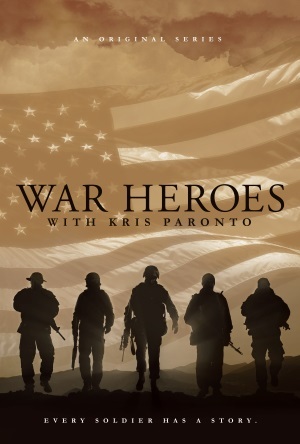 Fox Trail Productions announces production of the pilot episode of the new pro-military documentary TV series War Heroes with Kris Paronto as host. Created and directed by award-winning filmmaker Jack Thomas Smith, who is also one of the executive producers along with Mandy Del Rio and Glenn Nevola, War Heroes personalizes American soldiers by telling their real-life stories at home and abroad. Each episode will profile an individual service member or veteran up close and personal, detailing their unique lives, service and sacrifice. 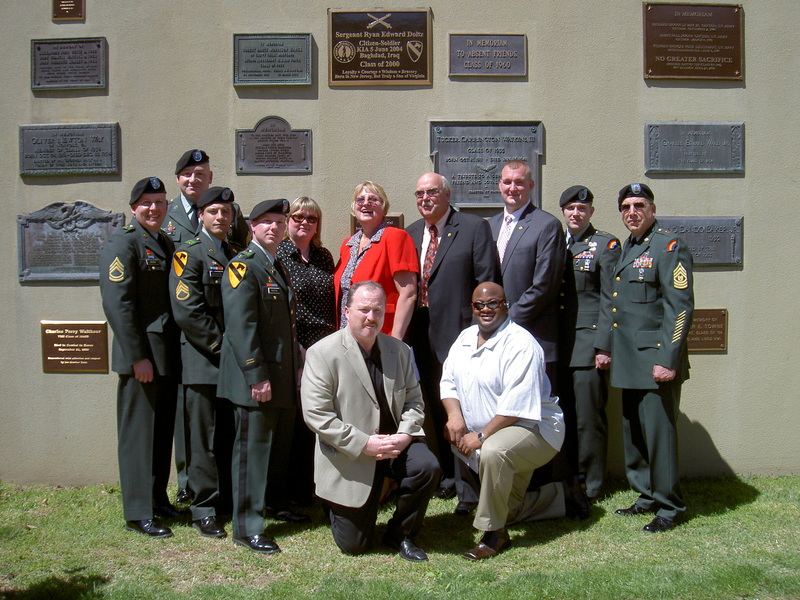 The pilot episode focuses on Ryan's story by having Kris meet with his family, friends, and those who served with him in Iraq to hear their personal memories and experiences. For more information, go to www.warheroestv.com. You can also follow War Heroes on Facebook, Twitter, and Instagram - @warheroestv. We'll keep everyone posted as production continues. Shop Amazon Smile and Support the Foundation! Amazon will donate 0.5% of the price of your eligible Amazon Smile purchases to the SGT Ryan E. Doltz Memorial Foundation. Amazon Smile is the same Amazon you know. Same products, same prices, same Amazon Prime benefits. All you need to do is select our Foundation as the charity you'd like to support and make your purchases through Amazon Smile. Get started today using the link below. Watch our video to find out more about Ryan's life, his service, and the Foundation. Want to share your own memories of Ryan? Just record a short video with your favorite Ryan story and email info@rememberingryan.org for details on sending it to us. We'll then post it on our YouTube channel and share it on Facebook.